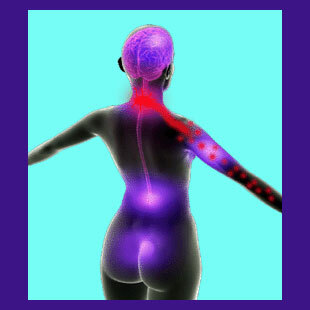 Nerve pain in the neck might be enacted by spinal or nonspinal causes. Neurological symptoms are certainly some of the most commonly reported of all neck pain complaints and may influence the sensation and functionality of large sections of the anatomy. Nerve symptoms come in a wide range of expressions, including radiating pain, widespread pain, focal pain or intermittent pain that may encompass acute and chronic symptomatic patterns. Furthermore, nerve symptoms may be related to a spinal structural anomaly, a muscular or tendon-related concern, a circulatory problem, a disease process, a systemic health issue or mindbody causation, making positive diagnosis a challenging and often unsuccessful endeavor. This dedicated essay explores nerve pain in the neck and explains why these neurological symptoms rank among the most difficult to relieve through most conventional modalities of treatment. 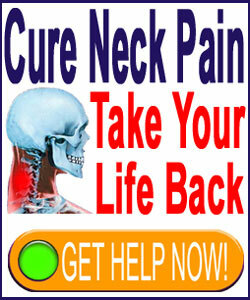 What is Nerve Pain in the Neck? The term nerve pain is actually very misleading. This is because all pain is transmitted by nerves, so in essence, all pain is neurological. However, true nerve pain is generated by the nerve itself, in response to some type of physical, chemical or idiopathic irritant, injury or disease, as opposed to being generated elsewhere and simply reported to the brain via the neurological pathways. To simplify, nerve pain means that the signal of discomfort is coming from the nerve itself, instead of from a musculoskeletal source or other anatomical structure. There are many different types of nerves in the neck region, ranging from the spinal cord and the cervical spinal nerve roots, at the deepest levels, to large and small peripheral branches of nerves that serve the autonomic, motor and sensory capacities of much of the upper body. Pain may be generated from any of these structures, although statistically, the majority of neurological neck pain syndromes are blamed on the cervical spinal nerve roots; a diagnostic conclusion that often proves to be incorrect. It is vital to remember that although the nerves of the neck may actually be involved in the generation of symptoms, the actual effects may be experienced elsewhere in the body, such as in the arms, shoulders, back, chest or even far lower in the anatomy, such as in the legs or perineal region, in cases of serious central stenotic changes. Actual pain in the neck is rarely caused by central or foraminal stenosis. These common diagnoses can lead to extreme expressions, but most often produce symptoms in other bodily locations, rather than in the neck where they actually occur. Some temporary local pain might be present in spinal stenosis or neuroforaminal stenosis, but clinically, these conditions should lead to an objective lack of sensation or reduced function in certain bodily areas, rather than any lasting severe discomfort in the neck itself. A far more common source of nerve pain in the anatomy of the actual neck is muscular compression of one or more peripheral nerves outside of the immediate spinal anatomy. These events can be caused by muscular imbalances or injuries, and are usually transitory, although highly acute. In most cases, the pain results when a muscle spasms and constricts a nerve, causing pain and other possible expressions, such as weakness, tingling or numbness. There are many neurological and neuromuscular diseases, as well as some systemic health problems that can cause nerve pain anywhere in the body, including in the neck. However, virtually all of these can be positively identified with standard diagnostic workup testing, such as blood screening, and should not be overlooked easily, as long as the patient receives care from a thorough physician. Circulatory concerns might cause anatomically-induced ischemia of nerve fibers, although these cases are also typically easily diagnosed using specialized diagnostic tests. Mindbody causation of nerve pain is also often a product of ischemia, although in these cases, there is no structural reason for the deprivation of blood and oxygen. Instead, the subconscious mind might use the pain as a distraction mechanism to hide repressed emotional factors, using the highly effective diversion of physical discomfort. The full explanation of this type of pain can be found in our TMS neck pain section. Nerve pain is often diagnosed simply because of radiating symptoms, typically into the shoulder or arm, or due to the presence of extraneous neurological symptoms, such as tingling, numbness or weakness. However, many diagnoses of nerve pain are not accurate, since although the nerves are transmitting the messages of bodily agony, the neurological structures themselves are not the source. We see many instances of misdiagnosed “pinched nerves” daily, often diagnosed solely on the basis of symptomology, without any clinical evidence of support to the conclusion. Patients are often placed into immediate treatment using any number of modalities, including spinal manipulation, physical therapy, trigger point injections, pharmaceutical therapy, surgery or other choices. We also see many patients who have been diagnosed with central stenosis in the neck, which is a completely normal anatomical development as one ages, report localized neck pain as the chief symptom. This is not logical from a clinical perspective, especially with the absence of neurological dysfunction affecting the lower areas of the anatomy, below the suspected spinal cord compression. Recently, we have seen a huge upsurge in the diagnosis of RSI nerve pain due to muscular impingement in the neck and shoulders. Once again, these diagnoses are highly speculative and based more on voguish trends in workplace medicine and the closely-related medico-legal civil litigation arena. There is little objective evidence to support most of these theoretical causes of pain in the patients who write to us and whom we see in clinical settings. The lesson to be learned is that most instances of true nerve pain can and will be positively diagnosed through objective methods and can therefore be successfully treated, or at least managed. When pain becomes a chronic concern, defying therapy after therapy, the most logical explanation points to diagnostic error, rather than actual treatment failure. For best results when diagnosing any type of suspected nerve pain, please seek care from a qualified neurologist, even if you chose to pursue alternative or complementary forms of care for actual treatment.